English speaking Guitarra afficionado Ron Fernandez is available to offer his advice and expertise here at www.fernandezmusic.com. 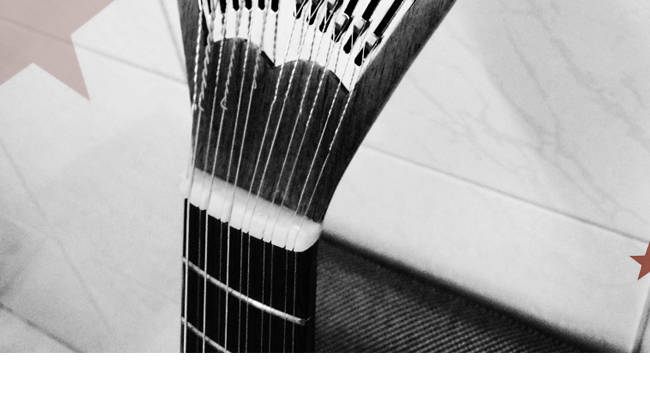 The Portuguese Guitar is an unusual twelve stringed, six course instrument – notable for it’s unique sound, timbre and style. Fernandez Music also offer Spanish and Flamenco guitars and Latin fretted instruments such as bandurrias, cavaquinhos, charangos, cuatros, laudes, tres cubanos and requintos. Ron Fernandez has years of experince and specialises in custom guitar setups. He also offers a selection of fine songbooks, tuners, ukuleles, french polish, and guitar making DVD’s . If you want to begin playing the Lisbon Guitaara Fernandez music also have a free lesson on their website. Ronald Louis Fernández, a cultural anthropologist by training has met Spain’s best luthiers and watched them work. He has supplied world-class makers with tone woods and imported guitars from Spain and ethnic guitars from Mexico, Bolivia and Portugal. He began playing classical and flamenco guitar in the early ’60’s and now also plays the Portuguese guitarra and Bolivian charango. His videos, Classical and Flamenco Guitarmaking with Benito Huipe, French Polishing for Guitarmakers and Nylon String Guitar Care have been well received by the international guitar community. His articles, “The Portuguese Guitarra” and “Felix Manzanero and his Collection of Antique Guitars” have appeared in American Lutherie. He also restores and finishes vintage instruments. He is a former member of the Board of Directors of the Orange County Guitar Circle and of the national non-profit Guitar Foundation of America which has over 2500 members. Custodio Castelo is a master of the Guitarra Portuguesa. We recently reviewed Custodio Castelo’s 2011 album “The Art of the Portuguese Fado Guitar” – click here. Backed primarily by a bass guitar and a classical nylon 6 string, Castelo’s virtuosity shines through 16 brilliant instrumental and contemporary, colourful and bright Fado interpretations.